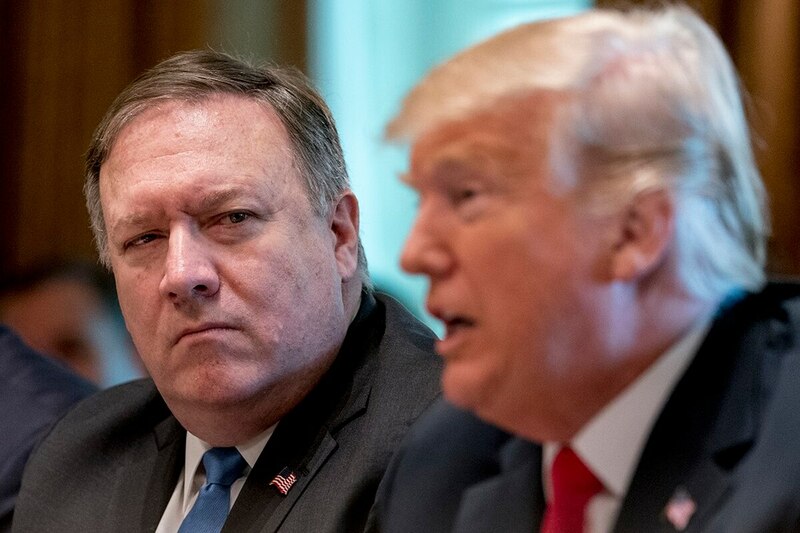 WASHINGTON (AP) — President Donald Trump said Friday he has directed Secretary of State Mike Pompeo to delay a planned trip to North Korea, citing insufficient progress on denuclearization. North Korea has not stopped its nuclear and missile programs and is violating U.N. sanctions including by "a massive increase in illicit ship-to-ship transfers of petroleum products," U.N. experts said in a new report. Trump laid unspecified blame on China, saying "I do not believe" China is helping with the process of denuclearization "because of our much tougher Trading stance." The U.S. and China have been locked in a trade dispute for months, with each side ratcheting up tariffs on imports from the other country in what may be the opening salvos of a trade war. China is the North's leading trade partner, and is widely believed to hold the greatest sway over the North Korean government. Stephen Biegun is to handle negotiations with North Korea over dismantling its nuclear weapons program. After more a year of escalating tensions defined by nuclear and missile tests, new sanctions and “fire and fury” rhetoric, Trump made history meeting Kim earlier this year. In the run-up to the summit both nations engaged in hard-nosed negotiation, with Trump publicly calling off the meeting in an effort to push Kim to agree to nuclear concessions. During the summit, the pair signed a vague joint statement in which the North agreed to denuclearize, but which left nearly all details undefined. Associated Press writers Darlene Superville contributed to this report.